They are one oft th last big legends of hard Rock’n’Roll: ROSE TATTOO. The Australians led by iconic frontman Gary „Angry“ Anderson (also known as Ironbar from the movie „Mad Max beyond thunderdome“) have influenced uncountable acts with their bluesy, powerful sound – among them such prominent names like GUNS N’ROSES. During their most active time from 1978 till the mid 80s they’ve released milestones like 'Rock`n`Roll Outlaw', 'Assault & Battery' or 'Scarred For Life', wich are all classics of the genre today. The simple reason why the band, opposed to all forecasts back these days, did not make it into the first league of rock business like their country men from AC/DC: bad luck. Again and again ROSE TATTOO was struck by engraving line up changes and strokes of fate, wich made their most promising career stumble. Despite all throwbacks, sooner or later the band always returned with another clap of thunder. The next one is right on its way now: About one year ago, Anderson & Co. signed a new record deal, followed by the release of a live album, while a brand new studio album is in the making. 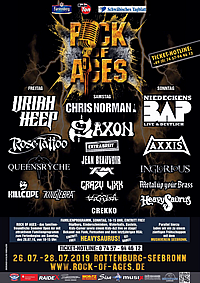 So in 2017, it wa about time to pay a visit to the old continent after many years of abscence, and we were very proud to announce that ROSE TATTOO would play their one and only show on European ground in 2017 as co-headliner of that year‘s BANG YOUR HEAD!!! festival. The response was overwhelming, both prior and during the return of Angry and his mates to the stage. 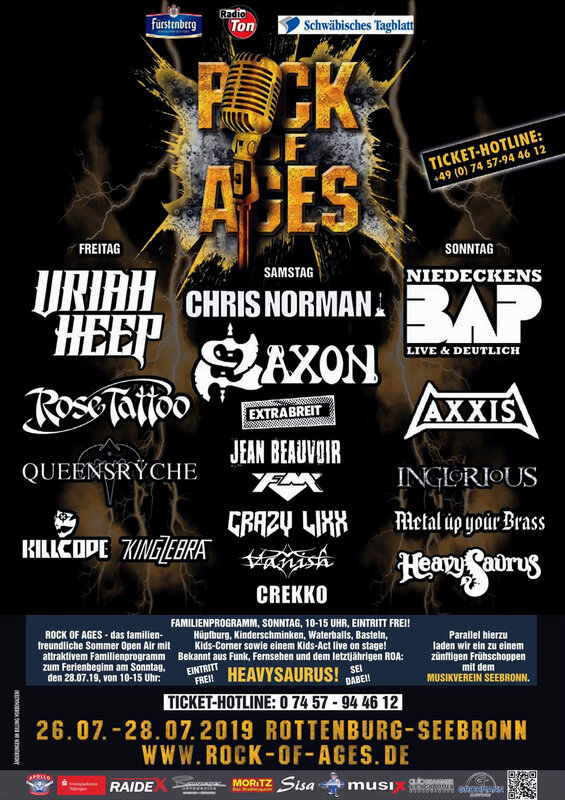 Therefore, we are thrilled to let you know that the band will be our guest once more - this time at ROCK OF AGES!